2016 was a year when so many beloved stars were taken from us. We pay tribute to the celebrities and famous faces we've lost this year. 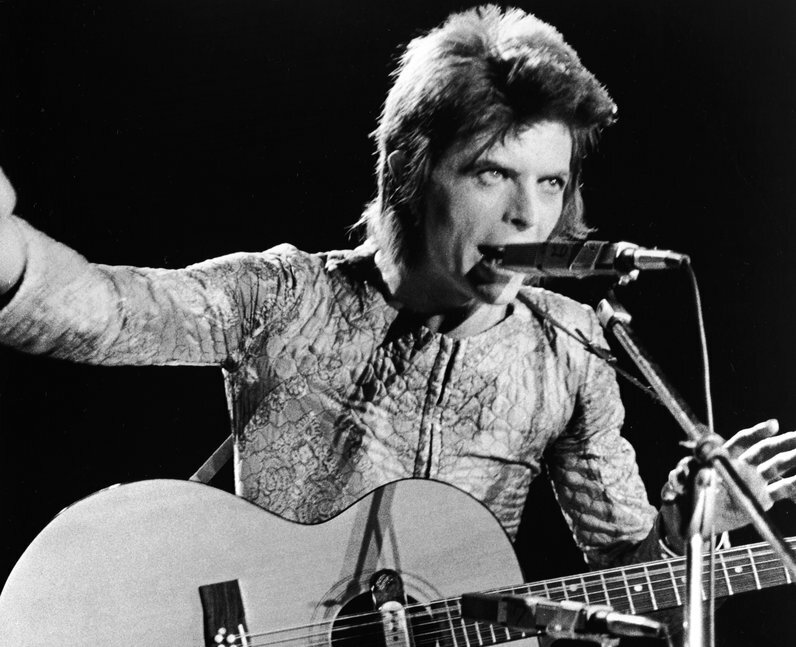 Rock legend, actor and artist David Bowie died aged 69 on 10th January. Die Hard and Harry Potter actor Alan Rickman died aged 69 on 14th January. Eagles frontman Glenn Frey died aged 67 on 18th January. Broadcaster Sir Terry Wogan died on 31st January aged 77. Harper Lee, author of To Kill A Mockingbird, died aged 89 on 19th February. Actor Frank Kelly, best known for playing Father Jack in the comedy series Father Ted, died aged 77 on 28th February. Magician Paul Daniels died aged 77 on 17th March. Comedian Ronnie Corbett died aged 85 on 31st March. Howard Marks, the former drug dealer and writer known as Mr Nice, died aged 70 on 10th April. Reality TV star and music producer David Gest, the former husband of Liza Minnelli, died aged 62 on 12th April. Comedian Victoria Wood died aged 62 on 20th April. Superstar Prince died aged 57 on 21st April. Legendary boxer Muhammad Ali, known as "The Greatest" died on 3rd June. The genius behind Mrs Merton and The Royle Family died of cancer, aged just 52 on 2nd July. Star Wars actor, who played R2D2, died on 13th August. Former Aston Villa striker Dalian Atkinson died after reportedly being tasered by police on 15th August. The actor, star of Willy Wonka And The Chocolate Factory, Blazing Saddles and See No Evil, Hear No Evil, died on 29th August, aged 83. One of the first golf superstars Arnold Palmer died on 25th August, aged 87. Poet, singer, songwriter. He died on 7th November. Revolutionary hero or murderous dictator? Opinions were split over the former leader of Cuba as he died on 25th November. The entire Brazilian football team was on a flight to Colombia when it crashed outside Medellín. Only three players survived. The actor, most famous for brilliantly playing Manuel in Fawlty Towers, died on 30th November. Seen here on the left of Emerson, Lake & Palmer, the singer of one of the greatest Christmas songs - I Believe In Father Christmas - died on 7th December. The Status Quo legend passed away in December. The pop superstar died aged just 53 in his home on Christmas Day. Tragically just a day after Star Wars actress Carrie Fisher died, her mother - star of Singin' In The Rain - passed away too.